Mohali (Punjab) [India], March 19 (ANI/NewsVoir): Professionals always have a fascination to go beyond horizons and work abroad. There is so much to learn from a new culture as it is enriching and brings a fresh perspective through different challenges. There are many career-driven people in the world who dream of immigrating to Canada. Well, giving direction to those dreams has been made easy since WWICS brings a coherent series of newsletters. It is a bonus that Canada is a welcoming country when it comes to immigration. It is imperative to get a clear understanding of the immigration process to get a direction. The candidates should be aware of the know-how of the complete procedure. Also, it’s essential to adopt only the ethical means to immigrate to the country to avoid any kind of complications. The Federal Skilled Worker (FSW) - Is a point based system for people who are selected to immigrate to Canada because of their work experience and skills. The Federal Skilled Trades Programme (FSTP) - Is for people who want to become permanent residents of Canada based on being qualified in a skilled trade and having relevant experience apart from job offer or certificate of qualification. The Canadian Experience Class - Is a Canadian immigration program created for Canada's temporary foreign workers who wish to gain Permanent Resident status. The applicants have to meet the eligibility requirements to be able to go through the immigration process. The applicant must have minimum one year of full time or equivalent paid work experience in the last 10 years in a skilled occupation classified under NOC skill level 0, A or B. The applicant should also be able to meet or exceed the language threshold of Canadian language benchmark (CLB 7) and must present a Canadian educational credential or a foreign educational credential along with an educational credential assessment (ECA) report from a designated agency. Like each country, Canada also classifies and organizes each occupation/profession. Hence, the country asks an assessment of the education of an applicant. To validate the education, there are some organizations that are authorized to provide with Education credential reports. World education services (WES), Medical Council for Canada, International credential evaluation services (ICES) are a few of such organizations. Canada puts the candidates in a specific job group that is classified as a skill level under the National Occupational Classification (NOC) system. The candidates with skill level 0, A, B are eligible to qualify for Canadian Permanent Residence under Express Entry System. Express Entry System is a structured system that may seem challenging at once but WWICS makes congenial efforts for each applicant. They offer constant guidance at each step and provide transparent information on NOC skill level, Language threshold, Express Entry aligned PNP’s, ways to increase the CRS score and so on that will help the applicants get through the complexities if any. 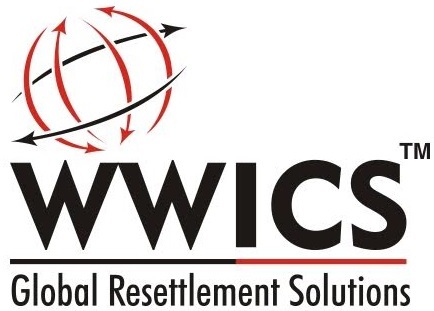 It is best to go through the quality programme offered by WWICS for immigration for fruitful over-seas opportunity.